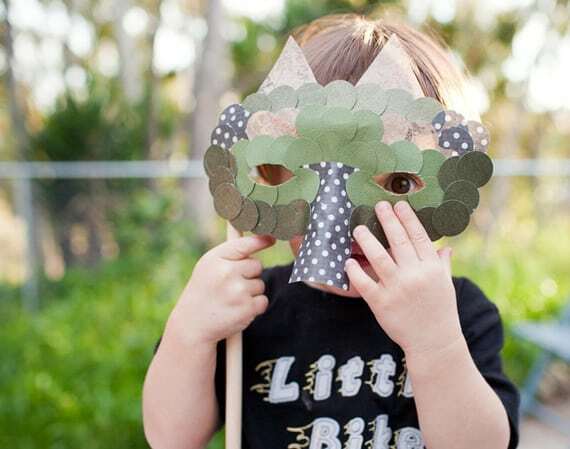 These paper fox masks and Easter bunny mask are so much fun; they will be perfect little springtime favors for tiny hands to play with. 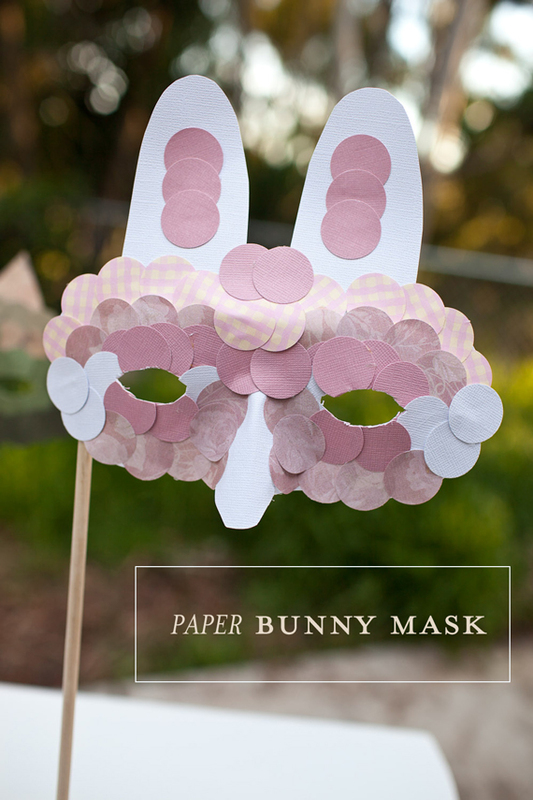 And since Easter is coming up quite quickly this year, these masks are perfect for all the celebrations! We are having a mini spring celebration while the grandparents are in town this weekend and I’m super excited to see all the kids run around collecting eggs. Begin by cutting out circles for your masks. For the Easter bunny mask, you will need 23 circles in one color, 21 in another, 12 in another and 8 in white. You will also need to cut three round rectangles for the ears and nose. 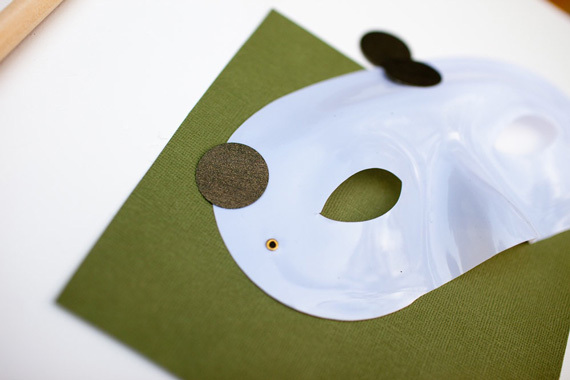 For the paper fox mask, you will need 23 circles in one solid color, 21 circles in a coordinating color, six in another and two circles cut to match the ears. You will also need two triangles cut for the ears and one rectangle for the nose. Remove the elastic from your masks and begin gluing the circles, and nose of our mask, follow the pattern in the photo or create your own. Layer each layer until you have a mask form you like. Turn your mask over and using the mold of the frame, cut out the eye sockets. Glue on the wooden dowel as your mask holder. 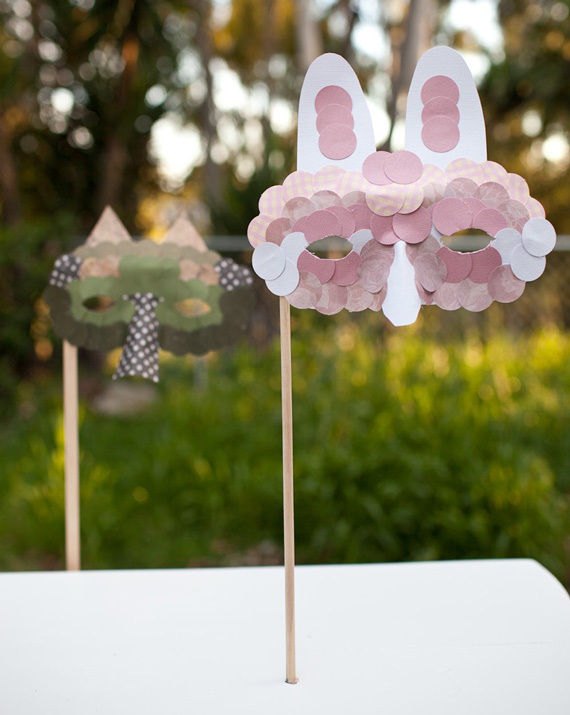 These fun fox and Easter bunny masks are great for the kiddos on Easter day. They will run wild and let their imagination take control, which is one of the many reasons I love them so much! 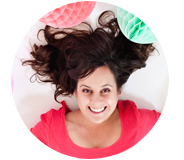 Here are some more fun and creative Easter DIY’s for a fun and festive day! The best and cutest Easter pies! PS. 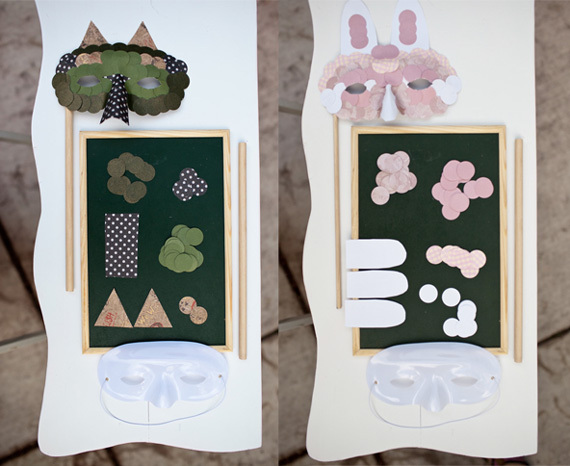 If you’d prefer not to make them, cute paper masks for purchase! i was actually feeling like easter is coming late this year! either way, these masks would definitely put you in the Easter mood. What a great idea. those are adorable! i’ve been trying to find something different to make for kids this coming easter adn THIS IS IT! how super cute, thank you for the fresh idea! How darling-I was just thinking about Easter! Those are SO dang CUTE! Well done. These are really cute! I imagine the kids would really enjoy making these too!